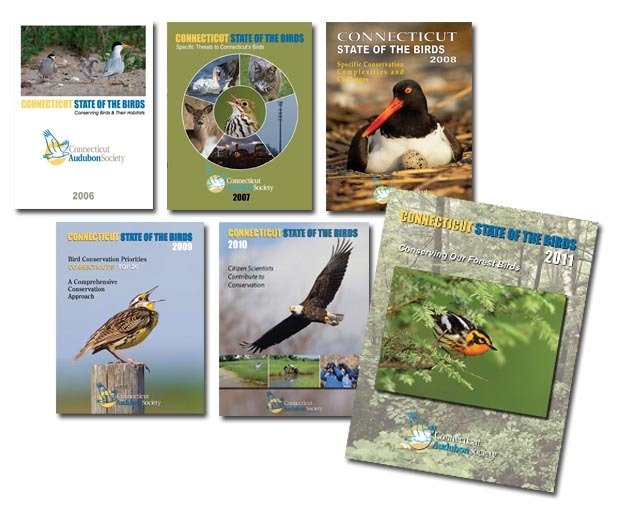 Each year since 2006 the Connecticut Audubon Society has helped set the conservation agenda for the state by publishing its annual Connecticut State of the Birds report. Official release, Thursday, November 29, 2018! Every member of the Connecticut Audubon Society receives a copy of the report each year. If you’re a member, look for yours in the mail. If not, join now to make sure you get your copy! 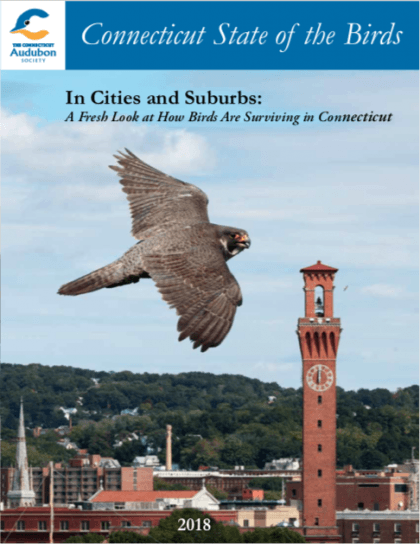 Articles in Connecticut State of the Birds are written by the best ornithologists and conservationist in the state and the region. 2018 authors include Pulitzer Prize-nominee Scott Weidensaul; Chad Seewagen of the Great Hollow Nature Preserve in New Fairfield; Chelsi Burns and Shaun Roche of the U.S. Fish & Wildlife Service; and Commissioner Rob Klee as well as Laura Saucier of the CT DEEP. The 2018 report was edited by Tom Andersen, Connecticut Audubon’s communications director, with Charles Watson and Milan Bull. Authors in previous reports include Robert Askins of Connecticut College; Chris S. Elphick of the University of Connecticut; Commissioner Rob Klee of the state Department of Energy and Environmental Protection; Gina McCarthy, former administrator of the U.S. Environmental Protection Agency; State Ornithologist Margaret Rubega of UConn; David Foster of the Harvard Forest; Sally Harold of The Nature Conservancy; and many others, including Connecticut Audubon Executive Director Patrick Comins and Milan Bull, Connecticut Audubon’s senior director of science and conservation. 2013 The Seventh Habitat and the Decline of Our Aerial Insectivores. 2012 Where Is the Next Generation of Conservationists Coming From?